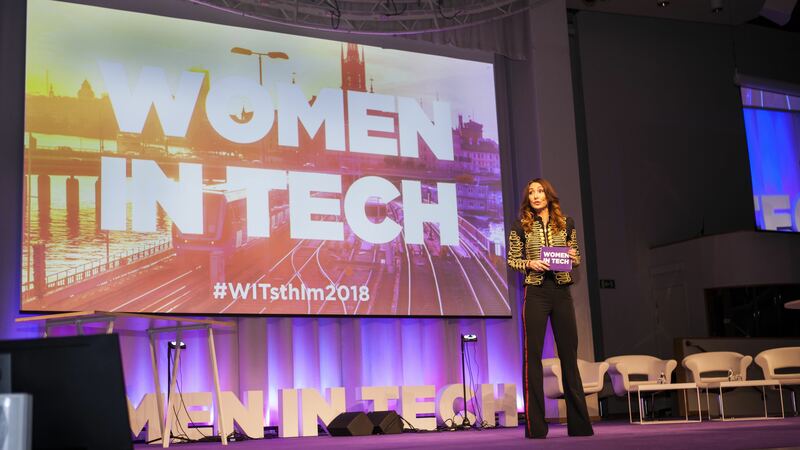 The Women In Tech Stockholm summit is an annual conference for women in the technology industry in Sweden. This year one of the key panels was ""#Metoo and #Teknisktfel — now what? Driving real and long-lasting change in the tech industry." Sabinje von Gaffke is pictured speaking at the event.